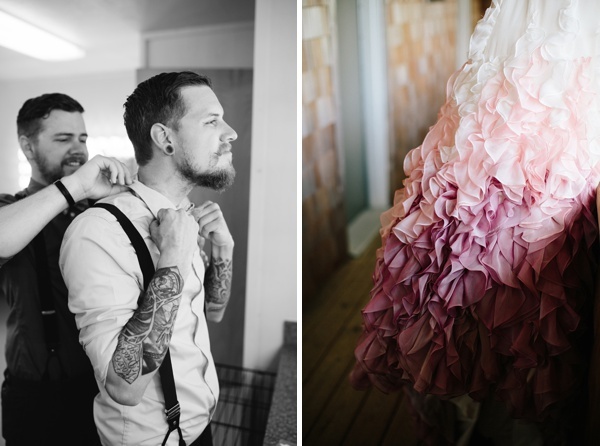 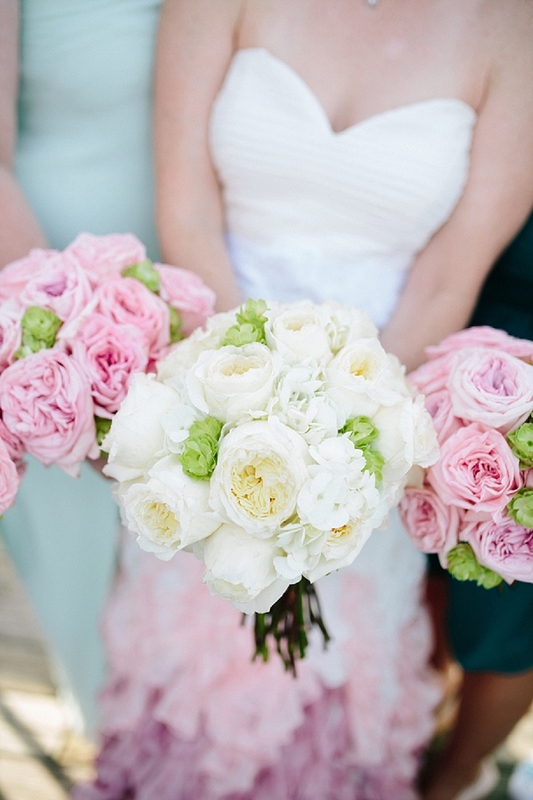 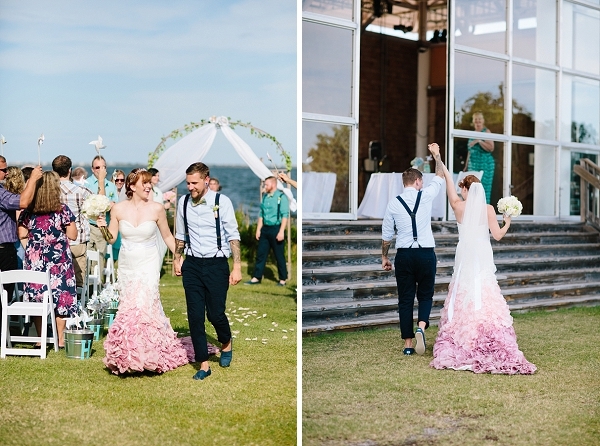 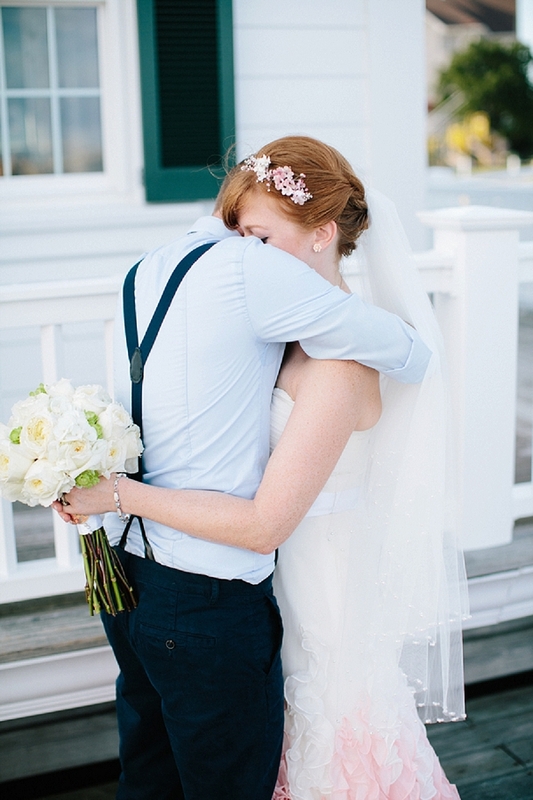 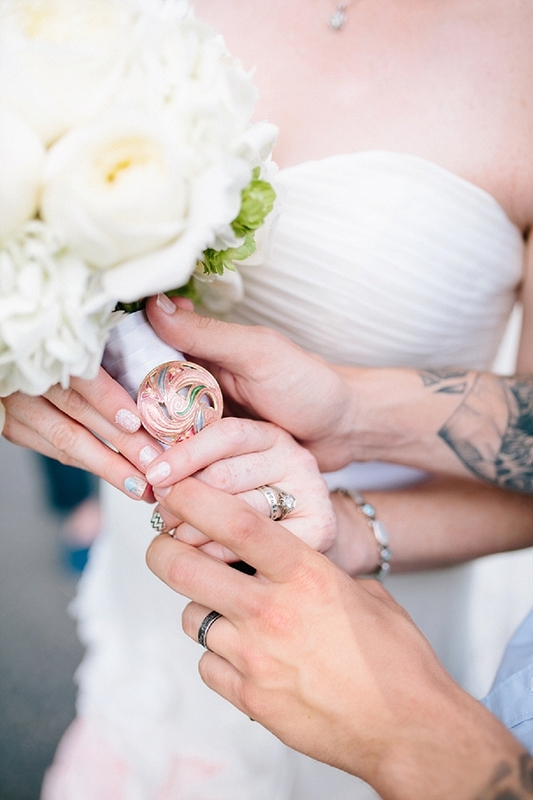 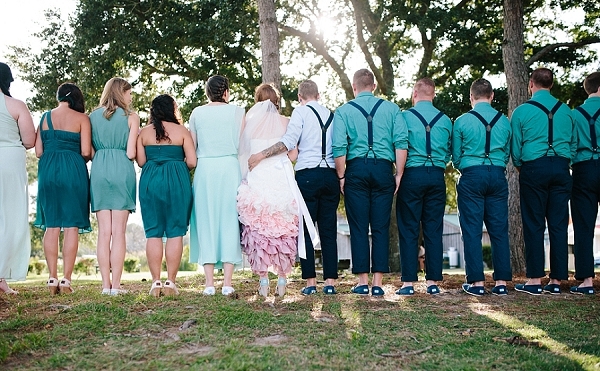 Oh, that ombré pink wedding gown! 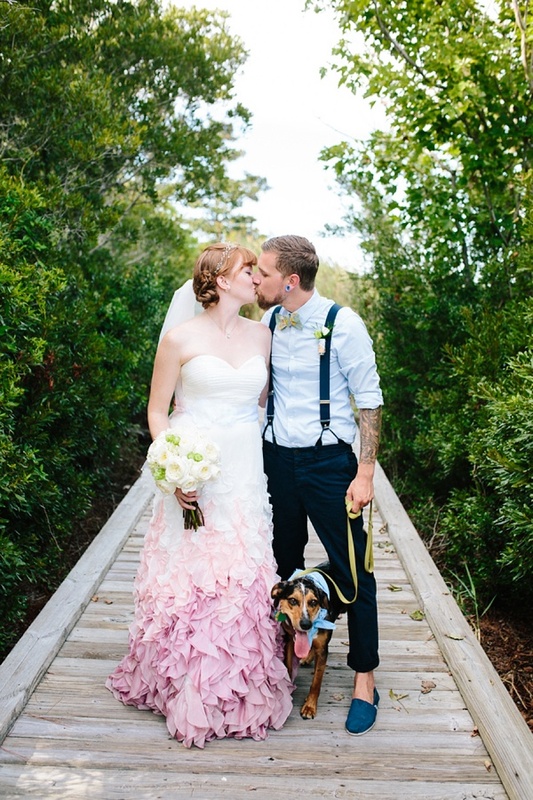 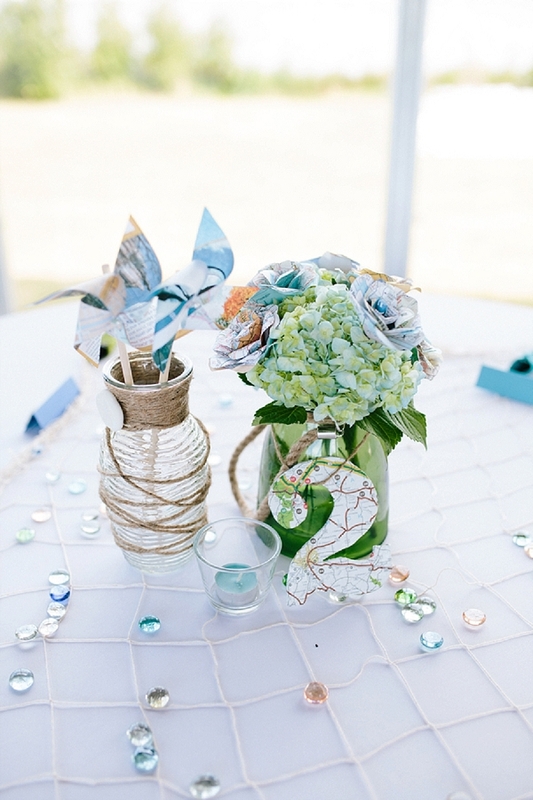 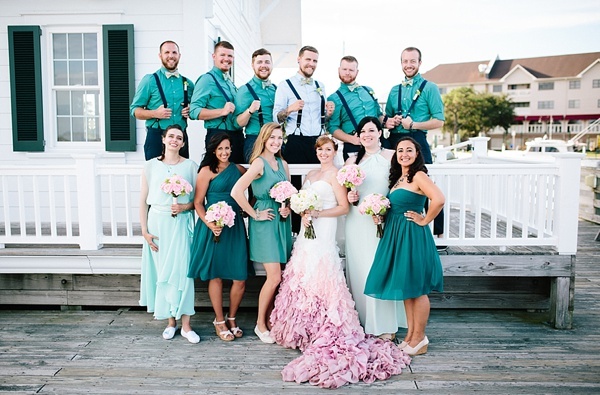 Zach and Katie's Outer Banks wedding not only immediately caught our eye because of her epic dress, but also their story. 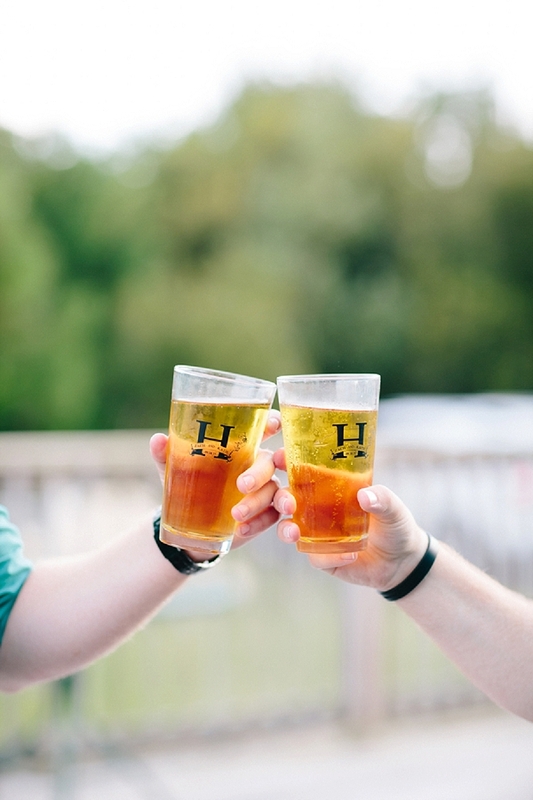 Bonding over craft beer and the outdoors, it all started outside at the Smithsonian in DC. 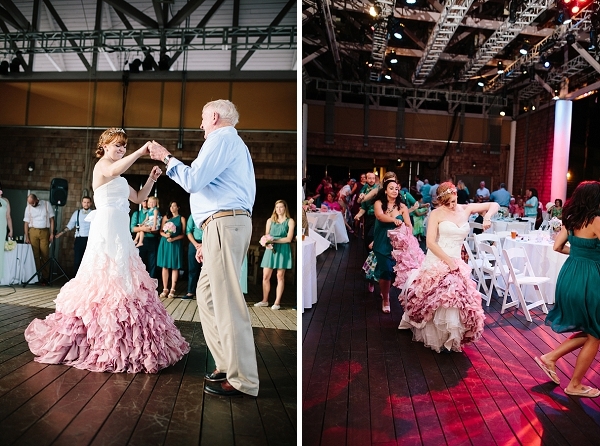 Since Katie was an art history major, Zach took her to the National Gallery of Art to experience art through her eyes... and so you know the bride was bound to have a gorgeous masterpiece of a gown when it was time to say I Do! 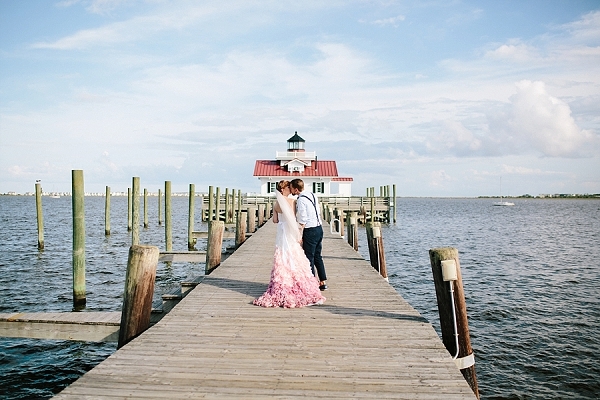 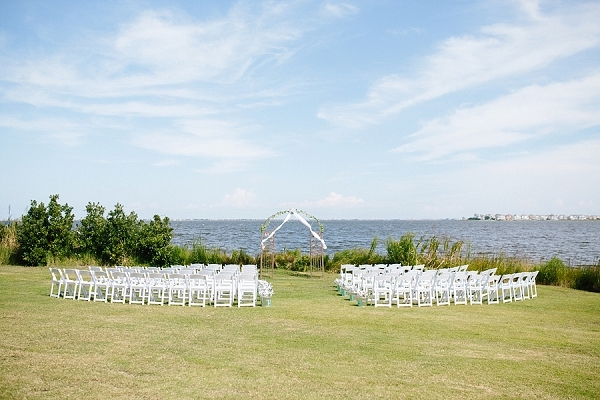 With a groom's dream of an Outer Banks wedding, these two lovebirds chose a destination celebration at Roanoke Island Festival Park in Manteo, and Chelsea Anderson Photography highlighted everything from the smallest detail to the most important – the love between Zach and Katie on a beautiful cloudless late summer day. 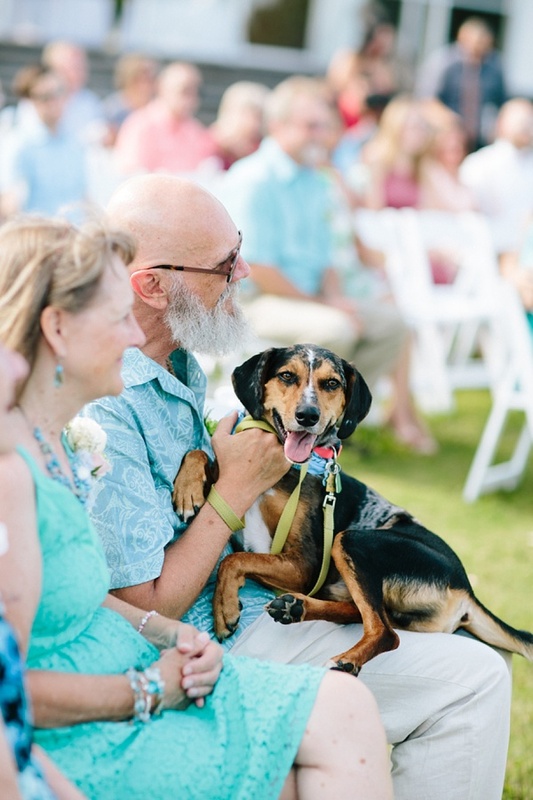 With fun elements from banjo-driven music (and a pup named Banjo!) 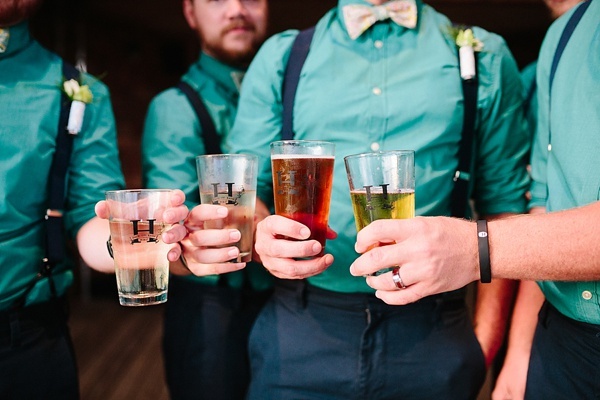 to custom craft beer glasses, each part of the day spoke to the lively atmosphere of this quintessential colorful wedding!